On January 12th 2010, at approx. 4:45pm an earthquake with a magnitude 7.0 struck a severely devastating blow to Haiti, 15 miles southwest of the Haitian capital. Haiti, which was already in the firm grasp of extreme poverty and governed by long line corrupt leadership throughout its history, was devastated. Approx. 300,000 souls were lost, displacing another 1.5 million and leaving 3.3 million facing food shortages. 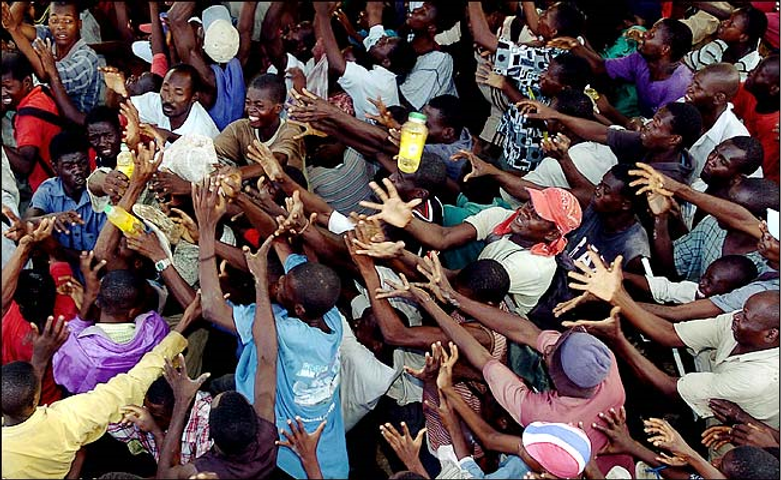 Due to Haiti’s lack of resources and unreliable infrastructure, the 2010 earthquake made it one of the deadliest. In the ensuing days, two more aftershocks of magnitudes 5.9 and 5.5 struck Haiti again, at a town 35 miles west of Port-au-Prince. Haiti last experienced an earthquake of such force was in 18th century, followed by a 6.9 shock in 1984. Collapsed buildings covered the disaster areas, a direct consequence of Haiti’s lack of building codes. Lacking adequate reinforcement, the buildings disintegrated under the force of the earthquake, trapping or killing their occupants. Additionally, crops and irrigation canals in many areas were decimated by the quake, crippling a nation which historically relied heavily on farming and agriculture. Still recovering from the two previous tropical storms and two hurricanes from August to September in 2008, Haiti was already beset by frail and inadequate infrastructure, and was ill-prepared and ill-equipped to deal with a disaster on such a monumental scale. Other areas of the country faced the same comparable weakness and was similarly affected and unprepared. In the aftermath of the quake, faced with failure of an unreliable electric power system, downed communication lines and debris blocked roads; efforts to provide medical assistance, food, and water to survivors by citizens and international aid organizations were severely hampered. Within two weeks of the earthquake sporadic supplies and little aid had reached beyond Port-au-Prince and other urban areas. Two week into the crisis, operations for search and rescue was greatly impeded, as there was little hope for survivors without food or water within that time. Within months of the 2010 earthquake, due to the unsanitary living conditions and lack of running water, one of the worst cholera epidemic in recent history was rampant and rapidly spread throughout Haiti, killing thousands and infecting the population within a span of two years. Again, due to the lack of a proper crisis mitigation systems and any disaster recovery plan, an enormous strain was placed on a Health Care System that was severely weakened. Thus, causing hundreds of Cholera related deaths, which spread to people in neighboring nation of the Dominican Republic and as far as Mexico and Cuba. Due to Haiti’s geographical location, the island is especially vulnerable and at risk for hurricanes and earthquakes, compounded by inadequate infrastructure. Hurricane Sandy in 2012, was no different and smashed an already impoverished Haiti, causing scores of new deaths, widespread cases of infectious diseases’ and drastic flooding. This was further compounded by the onset of a three-year drought that ensued and further plunged Haiti deeper into abject famine and poverty. Hurricane Matthew in October of 2016 pummeled the island, killing approx. 1000. Entire communities were leveled, making it extremely difficult for it citizens to access desperately needed supplies and support. Experts correctly predicted the storm would lead to a resurgence and spread of previously infectious disease, like cholera. The slums after Hurricane Mathew in 2016.
International agencies must continue to analyze critically and objectively their recovery programs and learn from them. Most importantly, both the governments and it citizens must understand these lessons and take them to heart, as they are the ultimate beneficiaries of well-run disaster recovery plans/programs. These lessons from Haiti’s disasters have yet to be fully absorbed, but we can be thankful for what it taught us: early warning, coupled with Crisis Mitigation and an effective Disaster Recovery Plan, through timely provisions and effective information and communication would allow individuals to take further actions against future hazard to avoid and/or reduce their risk and prepare for prompt and effective live saving response/s.